In less than 5 seconds at working temperature! 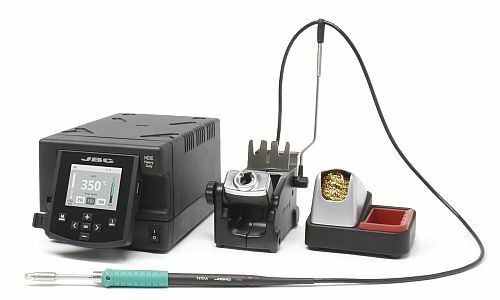 This is the ideal solution for extensive soldering applications that require one or both free hands. 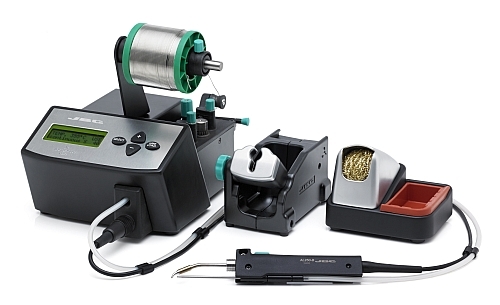 The AL station automates the soldering process by feeding solder wire. It is possible to select continuous or discontinuous operation modes. It incorporates the JBC exclusive heating system with the intelligent sleep and the hibernation feature. 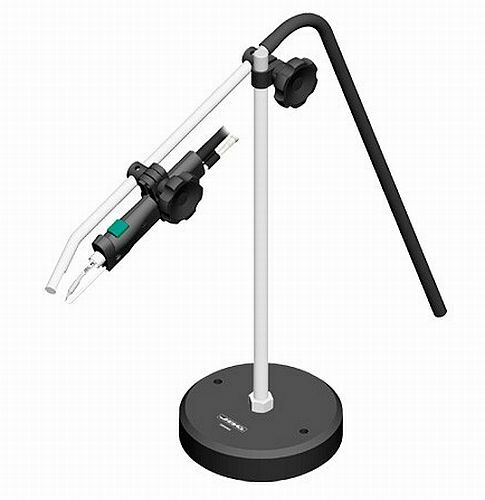 AL station works with the comfortable AL250 Auto-Feed Iron and C250 cartridges. You can easily configure parameters such as speed and length of the dispensed wire. You can also monitor the consumption thanks to counters. 3 working modes: continuous, discontinuous and programs. 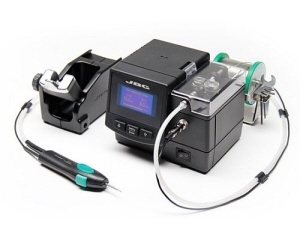 In each program you can configure up to 3 steps with different length wire and dispensing speed. Execute cyclically up to 35 programs. The solder feeder features a small blade that perforates the solder wire down to the flux core while feeding it. This perforation process allows better flux flow and outgassing avoiding solder and flux splashing during the soldering process (also available without V-cut). The ergonomic SF280-A Solder Feed Handle is compatible with solder diameters of Ø 0.8 mm, 1 mm and 1.5 mm (see guide sets).